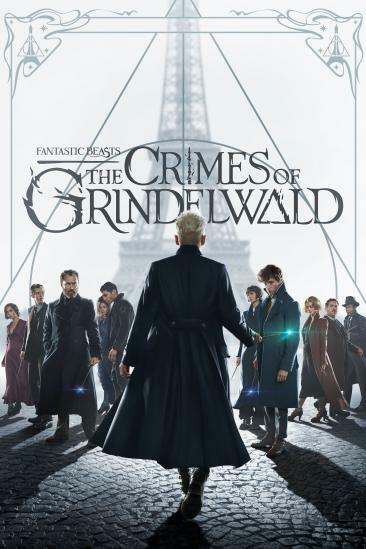 WHAT I LIKED: Whilst its story was largely simple and inconsequential, the first Fantastic Beasts movie was well-intended and had some nice world-building and likeable characters in the forms of Eddie Redmayne's Newt and some comedic supporting players, and it does have to be said that a little of that stuff returns in the sequel. WHAT I DIDN'T LIKE: Mostly though, what 'The Crimes of Grindelwald,' really does is ignore the charming simplicity of its predecessor by diving headfirst into countless plot strands and dull exposition without much grounding in that stuff that makes us care. Instead, we get plots about Dumbledore and Grindelwald and detailed back-stories about side characters that we don't really give a monkeys about as well as numerous explanations of new elements of the lore, and the problem is that all of that is done without developing a single character to an extent that you're actually invested in them. As a result, about twenty minutes in you'll likely be thoroughly bored and a little perplexed, and I have to admit that by the midway point I'd already fallen asleep twice - only to wake up to more meaningless and weightless CGI action shot in almost compete darkness. What's happened then? Well it seems JK Rowling, David Yates and co have gone so far down the rabbit hole of their own lore that it's become illegible and incoherent and has lost sight of what made its world and its characters so appealing and engaging. That's a real shame, and whilst this franchise may have captured your interest before, I would genuinely urge you not to waste your time and money on this utter bore-fest and go and see something else instead. VERDICT: Whilst hardly a malicious movie, 'The Crimes of Grindelwald,' is a hugely boring and incoherent mess of meaningless plot strands and dull exposition, and it ultimately serves to prove that JK Rowling and all involved have lost sight of what made this world so appealing. That's a real shame, and the fact that there's four more of these planned is frankly soul destroying... Just please please please don't pay to see this one, you really could do so much better. 2 member like this review.